House Speaker Gloria Macapagal-Arroyo is the least trusted among the current top officials of the country, the latest Pulse Asia survey showed. 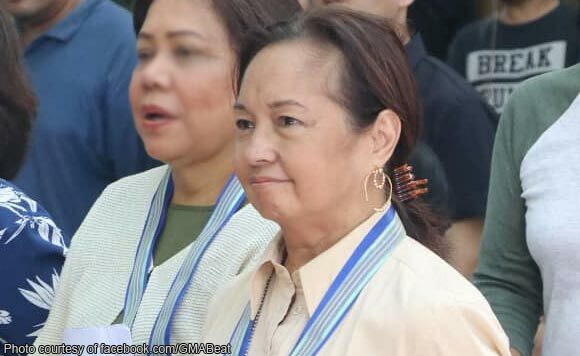 According to the Sept. 1-7, 2018 polls of Pulse Asia, the results of which were made public on Tuesday, Arroyo is only trusted by 19 percent of Filipinos, and is not trusted by 43 percent. Thirty-seven percent are undecided. The Pampanga 2nd District Rep. who assumed the House leadership in late July, earned the lowest trust ratings, and the highest distrust ratings, in comparison to President Rodrigo Duterte, Vice President Leni Robredo, Senate President Vicente “Tito” Sotto III, and former acting Chief Justice Antonio Carpio. Duterte’s trust rating is at 72 percent; Robredo’s is 56 percent; Sotto’s is 66 percent; and, Carpio’s is 33 percent. In terms of distrust, Duterte got nine percent; Robredo’s is 17 percent; Sotto’s is six percent; and Carpio’s is 19 percent. Pulse Asia conducted face-to-face interviews with 1,800 respondents who are registered voters, and 18 years old and above. The survey has a +/- 2% error margin at the 95% confidence level.